Today I saw one strange redirection issue with CoreNetworkZ.com, where its bare address is not opening or redirecting to the WWW version. At first, I thought it might be an issue with my Internet Service Provider but their support team said that everything was working properly at their side. While searching with popular webmaster forums, it is convinced the issue is not with blogger custom domain name settings. As a last resort, I contacted the live chat support of my domain registrar. CoreNetworkZ is registered with NameCheap, one of my first choice domain name registrars. While troubleshooting the issue with the support person, he informed me that it was due to DDoS attack against their default DNS server and they might want a little bit time to resolve it. He suggested me to change the current DNS server I selected for my web address to backup DNS System. Though changing current DNS server may help to escape from DDoS attack, it can take up to 24 hours to see the result. To see the updated news about the DDoS attack on NameCheap DNS system, follow the link below. 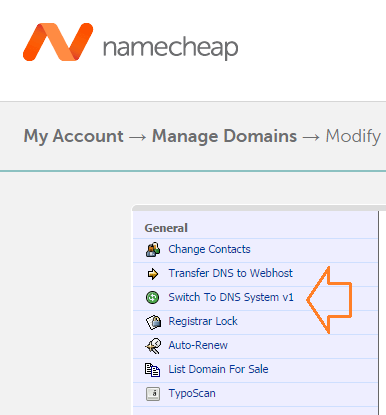 If you are a NameCheap customer and facing issues with redirecting naked domain address to WWW version, you may follow the steps below to resolve the issue. I have checked the status of CoreNetworkZ with various online tools. See the screenshots below. For WWW version, there are no problems. I have also received a warning in Google Webmaster Tools account. According to NameCheap, most of the features work properly but if you have set 301 redirection [URL Redirect 9301) ]instead of 'URL Redirect', it will be back to plain URL Redirect. It is also possible to see troubles with email forwarding for a few minutes soon after the changes. They also warn the time delay to see the results of the changes. Depends on the Internet Service Provider, you may see time between a few minutes to a delay up to 24 hours to see the result. Though these limitations are really annoying, until the DDoS attack is over, it is better to use backup Server. Six months ago I had faced a similar issue but it was with Blogger. All blogger sites with custom URL failed to open for a day. If you like to read more about that issues, visit the link below. Are These Websites Down Really Or Just Me?